Quickly approaching, Child Passenger Safety Week (Sept. 18-24) and National Seat Check Saturday (Sept. 24) are the perfect time to refresh yourself on the newest safety rules for driving in cars with children. Car crashes are a leading cause of death in the 1-13 age group, and the majority of these deaths and injuries can be prevented by the proper use of car seats, boosters and seat belts. One of the most important things to remember: weight restrictions are important to child car safety. Each car seat has its own weight limits, and kids need different seats for different stages of life. 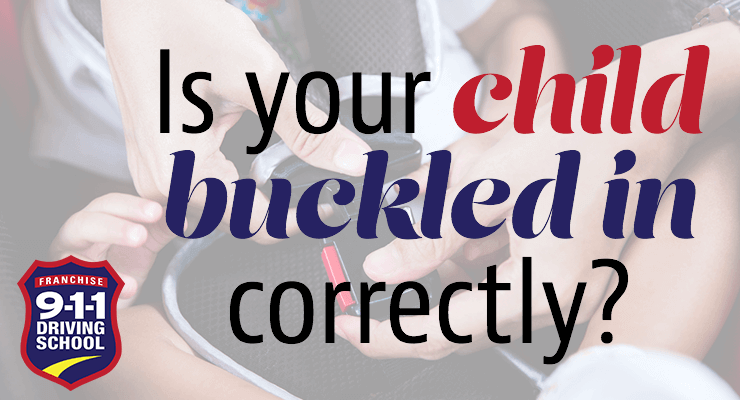 From birth until they exceed the weight limit for a booster seat and can safely ride without one, make sure that children are properly protected. After all, car seats reduce the risk of kids being killed in cars by up to 71 percent. Always refer to your car seat manufacturer’s guidelines as well as federal laws for the most up-to-date information on weight limits – it’s worth a few minutes of research to make sure the kids are safe. At 911 Driving School, students learn the importance of these critical safety rules – find a location near you here.